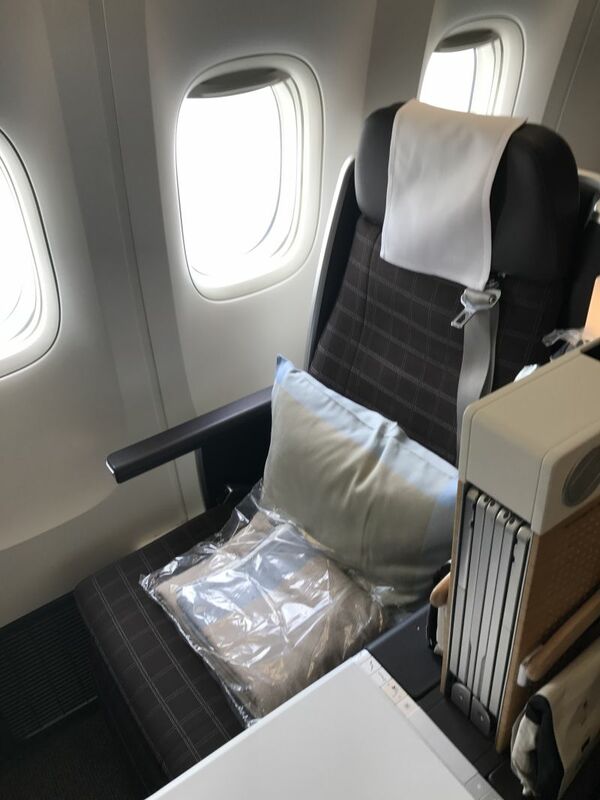 In an effort to find the best business class service to and from Europe, I tested out the Swiss Air flight from London to San Francisco via Geneva. 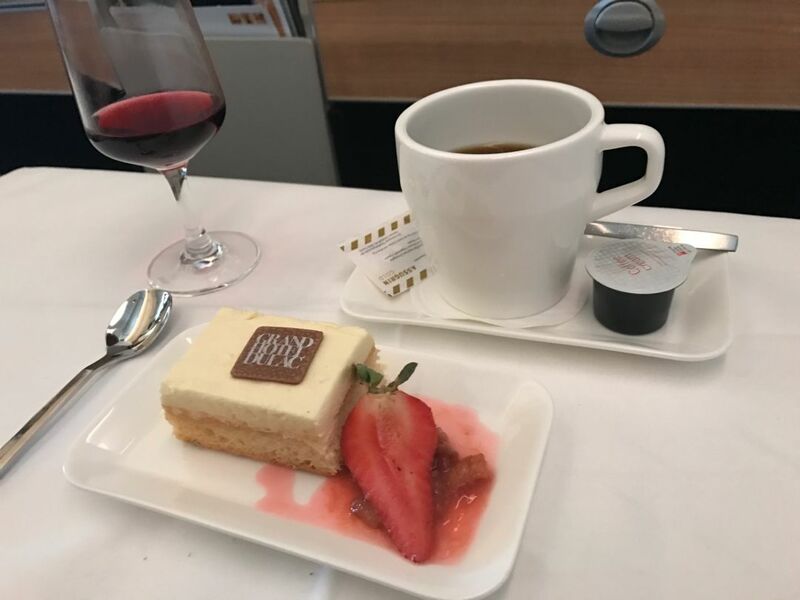 I have flown other airlines in their business or first class sections, including British Airways, American Airlines, United Airlines, and Norwegian since starting the blog. 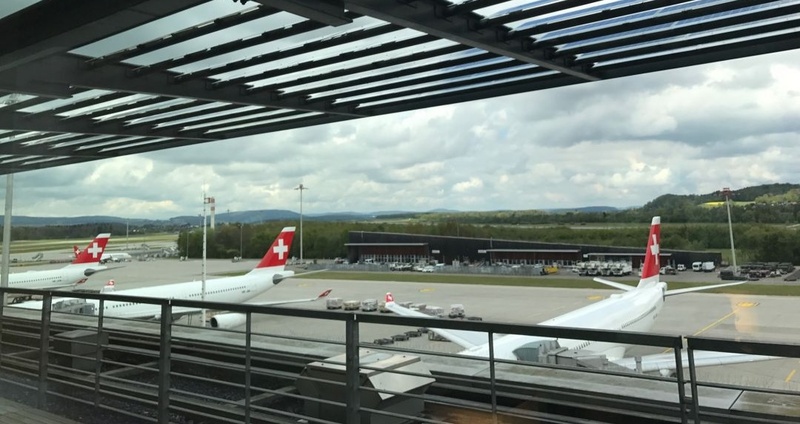 It was interesting to see how Swiss Air compared for comfort, service, and food. 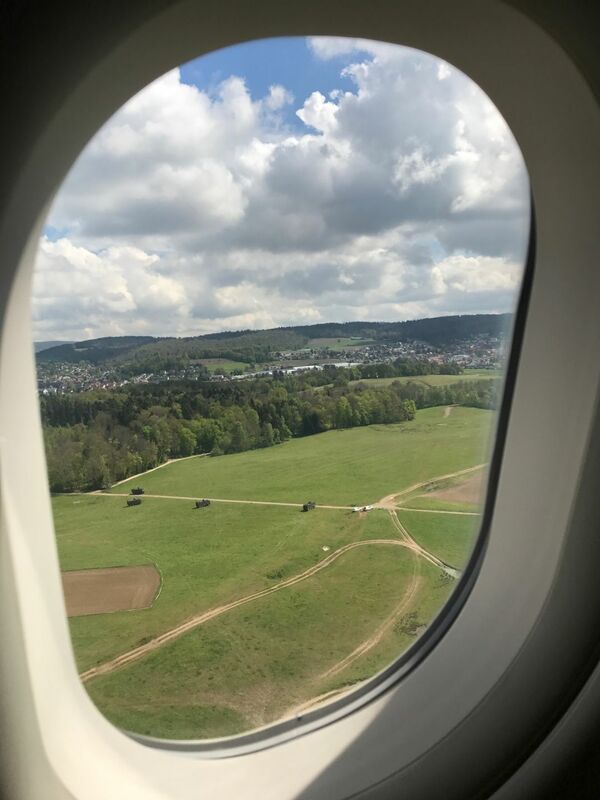 This trip had me taking a small detour through Geneva, but the flight was cheaper with a stopover and I really dislike stopping in most of the American airports on an international flight. It’s a nightmare. I’d rather make a hop to Europe and then fly straight through. There are fewer hassles and less aggravation involved. My flight started at Heathrow Airport. There was no crowd and the check-in was a breeze. The staff was pleasant and helpful. I did the minimum, dropping off my bags and showing my passport, before heading over to the lounge. 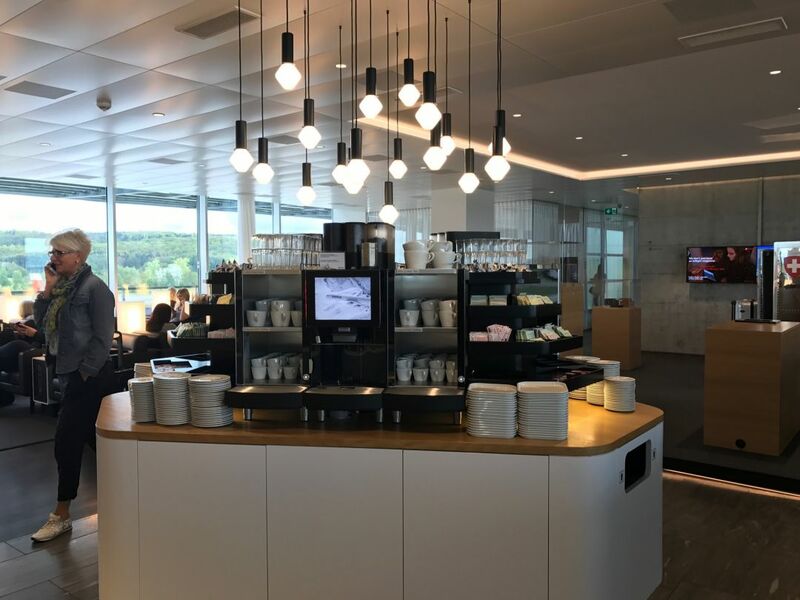 Swiss Air is a member of the Star Alliance and shares their lounge with United Airlines at Heathrow. I had been to this lounge before and I have to say it is impressive. You honestly feel like you are in a fancy hotel lobby and bar/restaurant area rather than a crummy airline lounge. It is spacious, beautifully decorated, and filled with delicious food and alcohol. It has comfortable seating and lots of places for the business traveler to work or relax while waiting for their flight. I happily indulged in a few glasses of champagne while I waited. Before I knew it, it was time to board my flight. Getting on board was hassle free. The boarding process was efficient and simple. I didn’t even get myself sat down before a very nice air host (flight attendant? steward?) offered me a drink and a newspaper to read. I was off to a nice start. 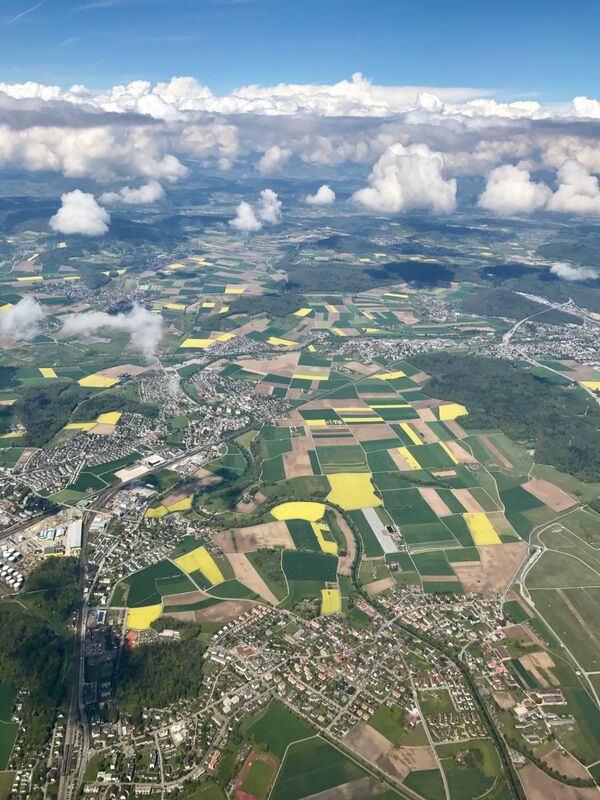 When I got to Geneva it was all a snap. Yes, I had to go through passport control, but as it was an internal European flight it was so easy. Plus, even though I don’t have a European passport, there were so few people without one I glided right through with only one person in front of me. Now I could just relax and enjoy yet another lounge. 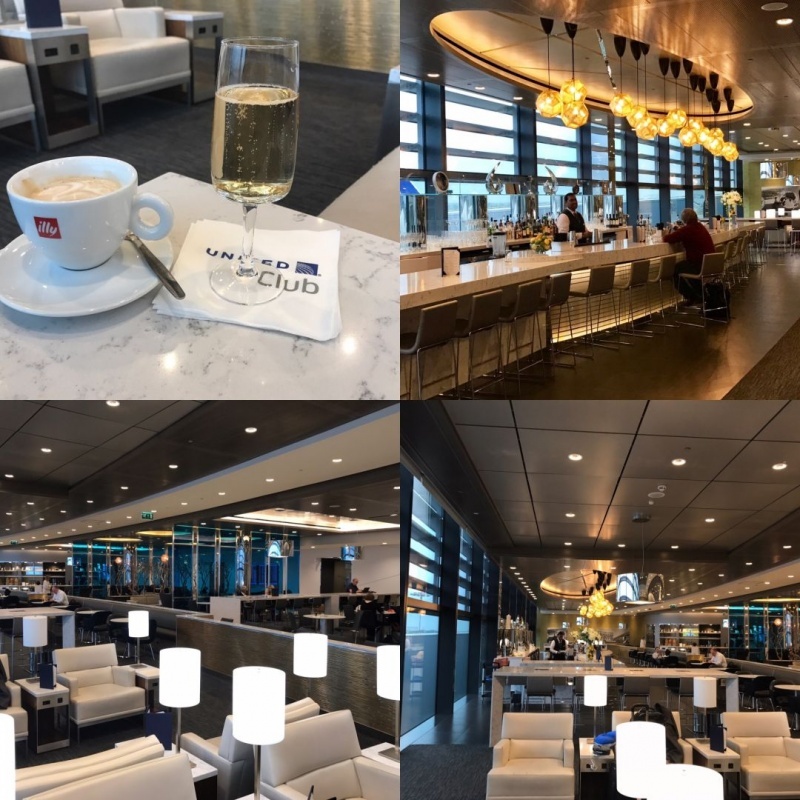 The lounge at Geneva is actually owned by Swiss Air and it shows. They have chefs at a pasta station ready to make you up fresh pasta to your specifications. They also have kettles of hot soup, bread rolls, fruit, and a dessert station. There was a station for wine and beers with another station for coffee and tea. 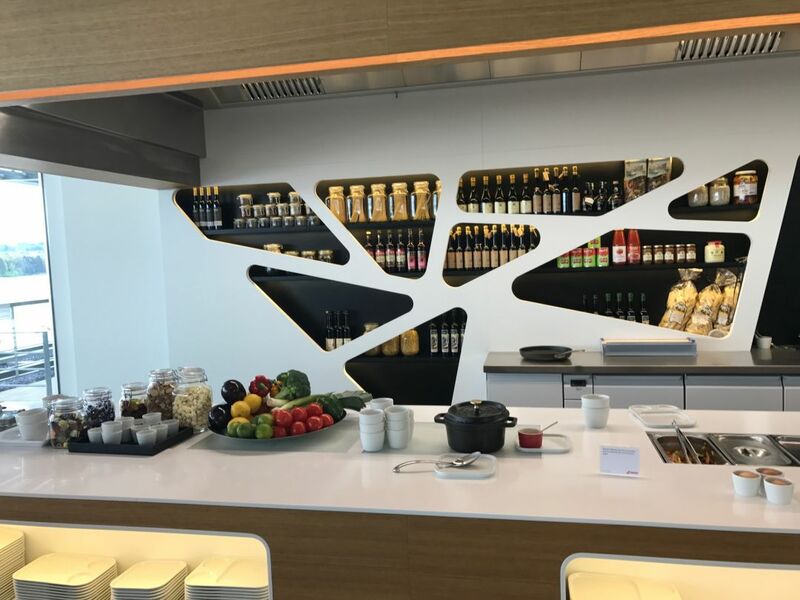 The decor wasn’t as lavish as the lounge at Heathrow – in fact, it kinda reminded me of eating inside an Ikea. 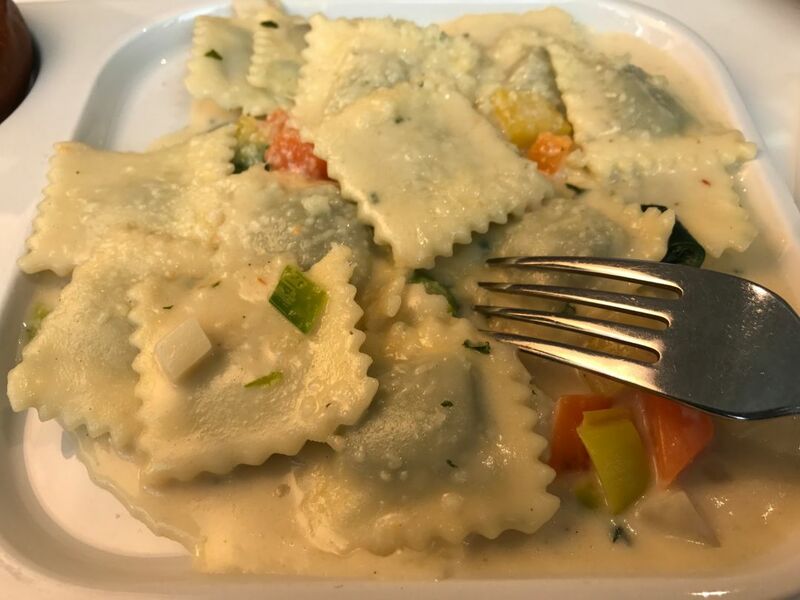 Still, one bite of my freshly made to order ravioli primavera along with the very nice glass of wine and I was a happy camper. 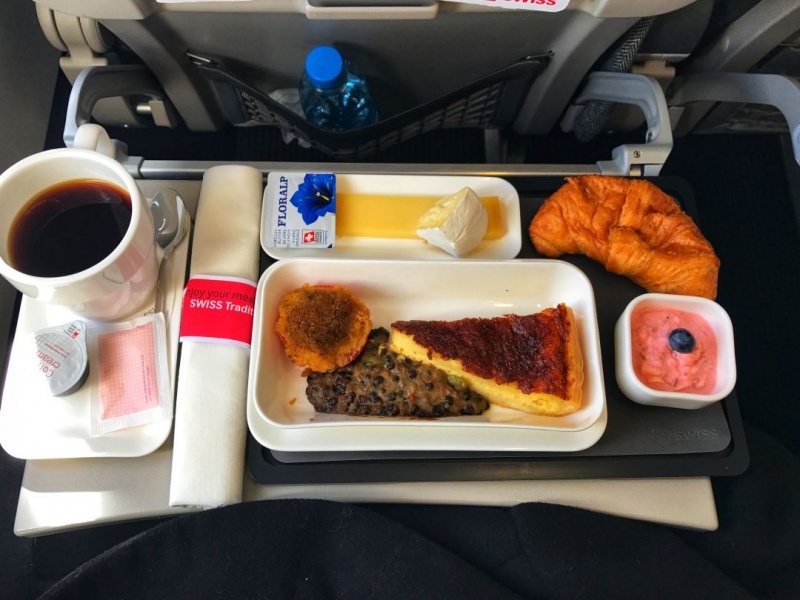 Mind you, I didn’t need any food after eating on the plane. But hey, I am here to tell you all about the experience and I can’t let you, my readers down by not trying it all right? By this time I was truly stuffed as I waddled my way to the aeroplane. Again, I was amazed at just how effortless they made the process; I was very impressed. On board the aircraft, I found my seat up front and at the window. It was a perfect day to fly. The clouds were white puffs and the sky was blue. My seat was equipped for a nice journey and I found my amenities kit filled with goodies to help me relax. 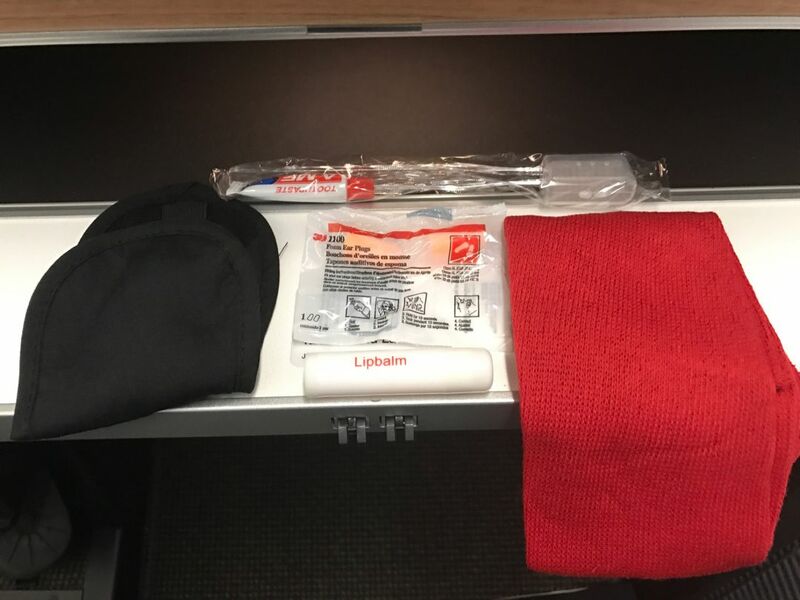 It contained the basics: earplugs, sleep mask, socks, lip balm, toothbrush, and toothpaste. There was also a comfy pillow and blanket ready and waiting for me. 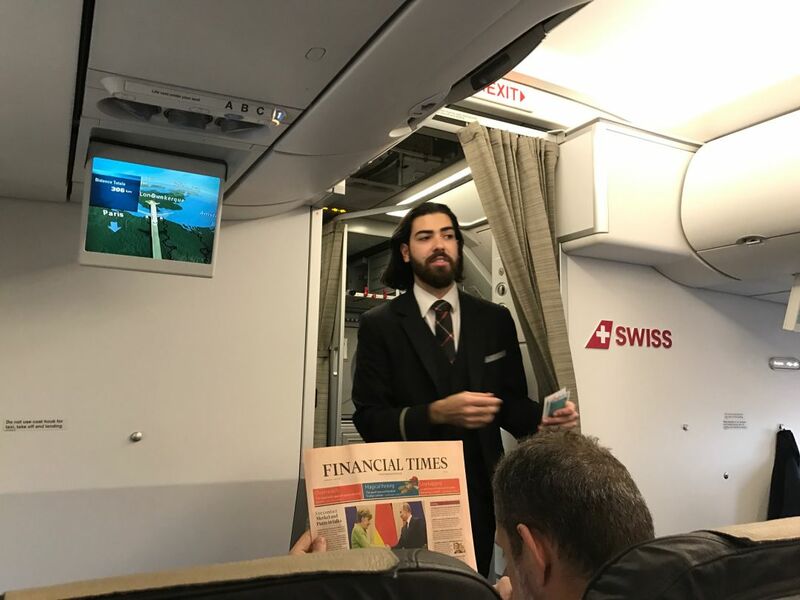 Service on Swiss Air all the way around was outstanding. Not only was every single staff member pleasant, but they exuded kindness and it seemed as though they could anticipate the moment you even had a thought you might need something. It was awesome. My seat was comfortable. I really love the lay flat beds. I had my own large screen monitor and I suppose there were many shows and movies to watch. I was too entranced by the view outside to even think about that. In a blink of an eye, it was time again to eat. Honestly, I was feeling my gluttony catching up with me now, but I still managed to taste through all of the food and photograph it so that I could report back. The meal started off with a green salad, seared ahi tuna with a leek and wild garlic compote on the side. 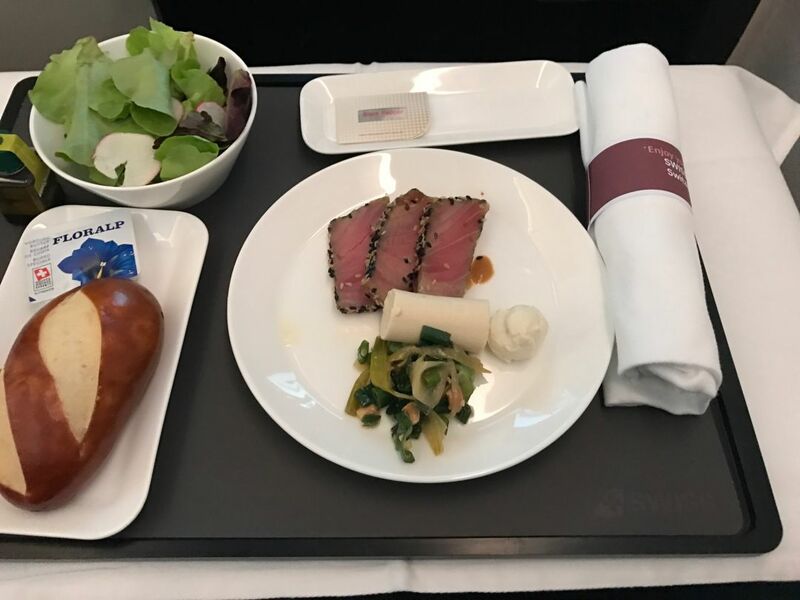 Served with it was a pretzel roll and butter. That could have been the whole meal as far as I was concerned but no, it doesn’t stop there! 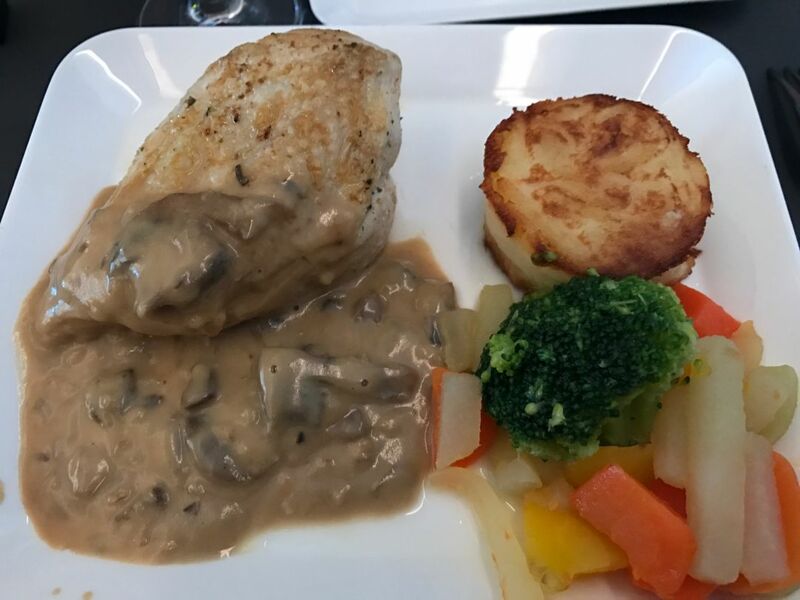 For the main course, I was served a breast of chicken with a creamy mushroom sauce. On the side, there were mixed vegetables and a potato cake. It was all tasty and nicely presented. Even the veggies weren’t cooked to death on my plate, for the win. The wine on board was pretty darn good. It was paired with each course and I appreciated the attention to detail. 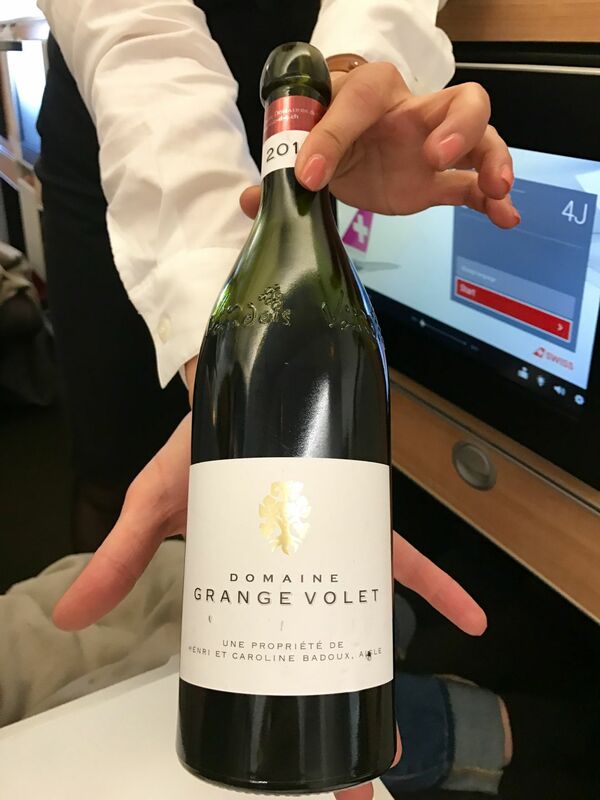 I have to admit that I didn’t get to photograph or write down each wine (my bad) but I will say there was nothing I felt like I had to pour out. 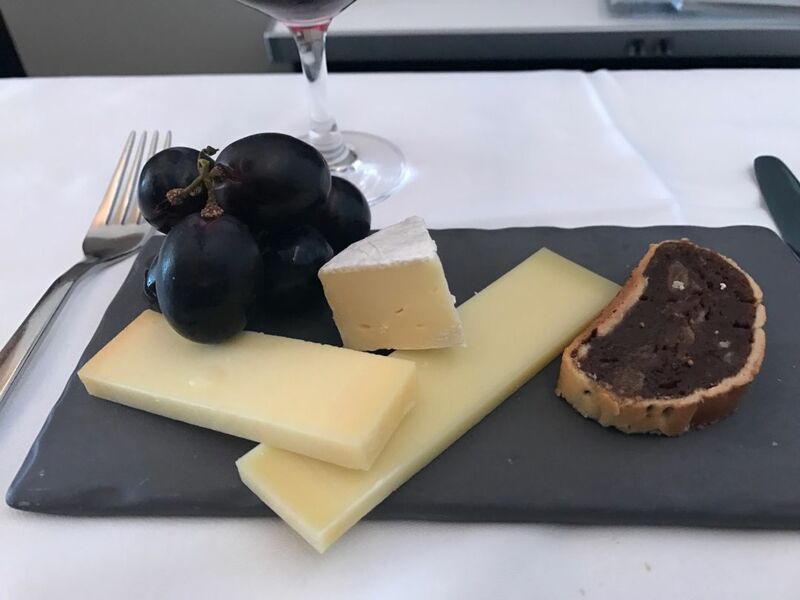 The next part of the meal was cheese biscuits and a fruit plate. By this time I was ready to explode! But of course then was dessert; a layered cream cake served with a half strawberry. Thank God the cake was so light because I was facing the whole wafer thin mint scenario. I need to mention too that all of this food was paired with many wines and even port and brandy afterwards. My body did the only thing it could at this point and I slipped into a food coma for many hours. By the time I awoke they were asking me if I wanted more food but honestly, I couldn’t even think about it. I did accept a cup of coffee and tried to stay awake until we landed. 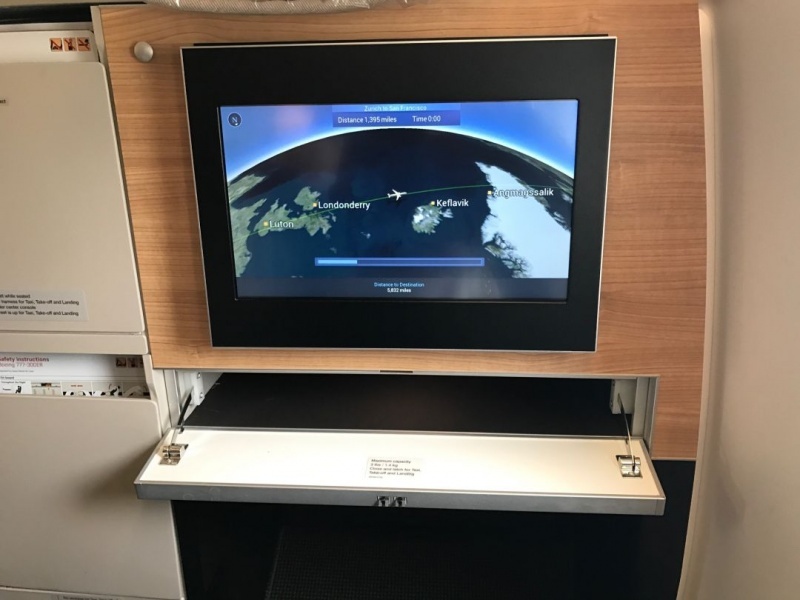 My 10.5-hour flight seemed to go by in a blink of an eye. I slept nearly all the way through it (which never happens to me). I think that has to be the biggest compliment of all to Swiss Air. I felt pampered, unhassled, rested and relaxed as I left them. Perfect. I honestly couldn’t have asked for anything more. I would love to fly this airline again. I’m a huge fan!